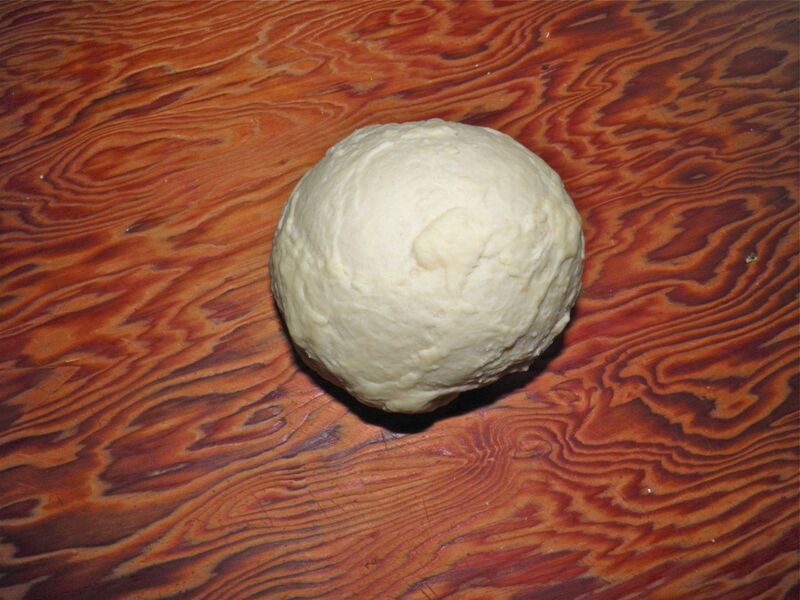 Devoid Of Culture And Indifferent To The Arts: Hand Rolled Pasta - you can do it! 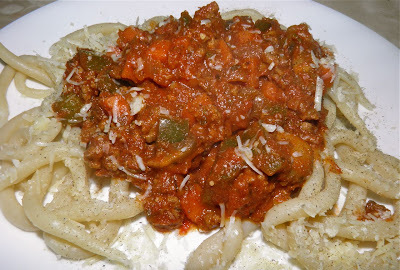 Pici with beef, onion, mucshroom and carrot râgù. And not just the fridge, but pantry, too! 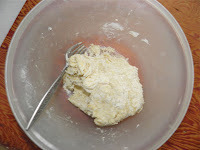 I usually make homemade pasta with regular white flour, but have always wanted to make just a semolina flour version. It's supposed to be "stiffer" and more like dried pasta you buy. It has more of that "al dente" bite. I now have the chance. I bought some semolina #1 flour at Mid-East Foods at the corner of Agricola and North in Halifax on the weekend. Now all I have to do is find the time to do it. I may even try to roll it by hand and cut into linguini. 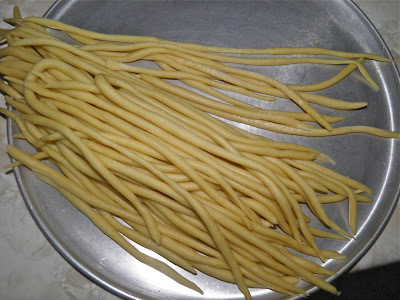 I imagine that will take a fair amount of elbow grease, but to inspire myself I'm posting about a hand rolled pasta that doesn't require a rolling pin and board. 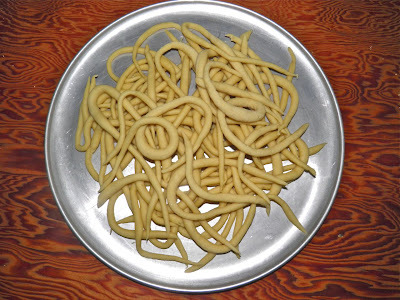 Traditionally from Tuscany, pici is a wonderful way to make an unusual pasta even if you don’t have a pasta roller. Each piece is lovingly rolled by hand into a tube that is thinner than a regular pencil, much thinner if you have the drive to do it. Each piece has varying thickness along its length. That’s part of its charm. Very rustic. I said “lovingly” in the paragraph above because these noodles take time to make. You roll small pieces of dough (with your palms and a flat surface) two to three times, or more. These are a substantial noodle, and as such demand a substantial sauce with lots of flavour. Think râgù with beef and vegetables, or with duck or boar. That’s what these noodles demand. Something with guts. Now “guts” doesn’t mean it has to be chunky, just with loads of flavour. Maybe make a porcini mushroom or a garlicky spicy sauce. I would shy away from “delicate” sauces like vodka sauce or lobster. Although delicious, they would be overwhelmed. This recipe would be great fun if you were having friends over for a cooking party. That way you could share the workload. The first time I rolled the noodles it took me 1/2 hour. Second roll was quicker. I should have done a third. Each time they get thinner and keep their shape better. 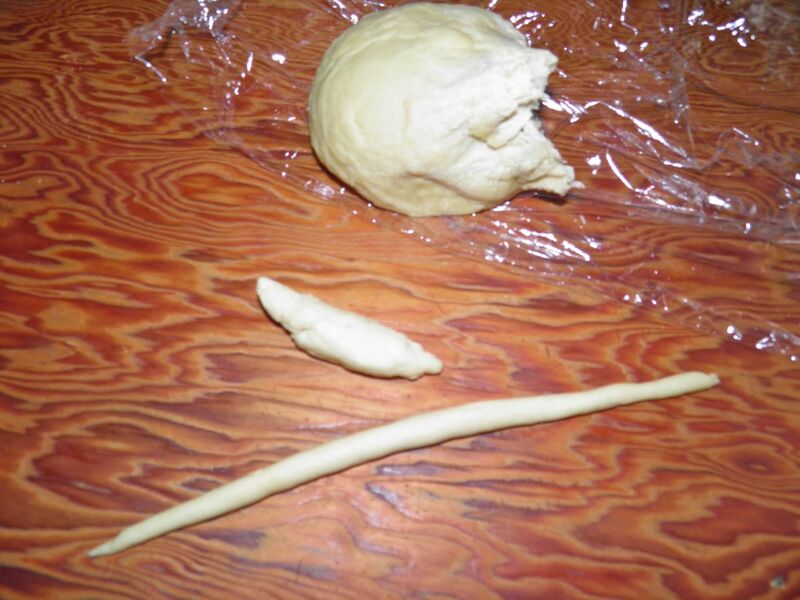 Traditionally this dough has no eggs, but I find that they add an elasticity (therefore easier to roll) that wouldn’t be there without their inclusion. Even though these noodles take time, they are certainly worth the effort to serve something with the look and taste of the Italian countryside. Mix the salt and flour together. Then add the ingredients and bring together with a fork. 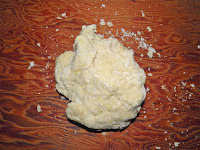 Knead the resulting dough for 10 minutes or until quite smooth. Wrap the dough and let it rest for 30 minutes. Roll walnut sized pieces into long tubes. Keep the remaining dough wrapped. After the dough has rested take a walnut-sized piece of dough and roll with your hands on the counter or a large cutting board into a long tube. The piece should stretch to at least 14 inches long. Each time the dough rests is tends to shrink and get fatter that what you had rolled. This is the first rolling. Note the varying thicknesses. Second roll with help that out. Let rest for another 30 minutes. Roll each piece again. It should be able to stretch to 20+ inches. 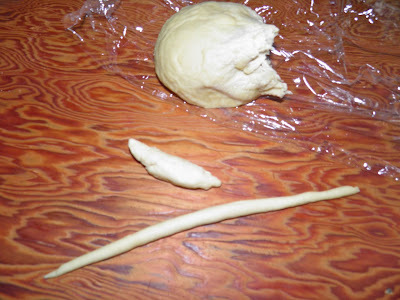 If the dough is too long to handle, cut it in half. You will note by now you’re getting an understanding of how the dough reacts. This is after the second roll. Each time it's easier to make each piece longer and more even. Let the dough rest again. Just before cooking roll each piece again if desired. You’re looking for noodles that are about half as thick as a pencil. Boil in salted water for 10 minutes. It takes that long for the noodles to thoroughly cook. Serve with any chunky country-style sauce or ragout. I understand they are also served tossed with breadcrumbs just by themselves with no sauce.